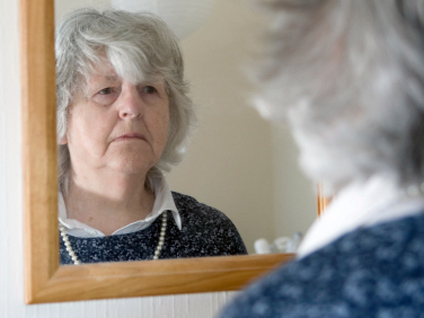 (CBS News) Loneliness may lead to a shorter lifespan, two new studies suggest. The studies, published in the June 18 issue of the Archives of Internal Medicine, found that living alone or feeling alone can be especially debilitating to aging adults and may lead to serious health problems, even death. For the first study, researchers looked at more than 44,000 people from 44 countries who had heart disease or were at high risk for it and tracked them for four years. They found that 19 percent of the participants lived alone. Over the four-year study, 14 percent of people who lived alone died, compared with 11 percent of people who lived with someone, and nearly 9 percent of the lonely folks died of a heart-disease related death, compared with less than 7 percent of people who lived with someone. Risk of dying was highest for middle-aged adults who were 45 to 66: Those who lived alone were 24 percent more likely to die than their same-age counterparts who lived with others. "This should send up a little red flag that maybe this patient needs a little bit more attention," study author Dr. Deepak L. Bhatt, an associate professor of cardiology at Harvard Medical School, told WebMD. "Maybe we need to be a little more careful that this patient really does go to fill their prescription," or gets regular checkups or buys and eats healthy meals, he said. The author of the second study, published in the same journal issue, agrees that doctors may want to consider whether a patient is lonely when it comes to their treatment. "In our typical medical model, we don't think of subjective feelings as affecting health," Dr. Carla Perissinotto, an assistant professor of geriatrics at the University of California and lead author of one of the studies, said in a news release. "It's intriguing to find that loneliness is independently associated with an increased rate of death and functional decline." For her study, a team of UCSF researchers looked at a nationally representative sample of 1,600 adults over 60 (average age of 71) who were studied between 2002 and 2008. The researchers determined 18 percent of the older adults lived alone, but 43 percent of them said they felt lonely. Perissinotto and her team looked specifically at how the older adults' feelings impacted their ability to perform daily activities, such as climbing the stairs and walking, and then how their feelings impacted their lifespan. They found people who identified themselves as lonely were 59 percent more likely to experience functional decline in daily activities compared with their counterparts. What's more, lonely people were 45 percent more likely to die over the six-year study compared to those who didn't identify themselves as lonely. Perissinotto makes the distinction that these older adults are suffering from loneliness, which is different from depression. While depression is linked to a lack of energy, enjoyment and motivation and can trigger health problems, people who are lonely are fully functional but feel empty. Barbara Dane, an 85-year-old jazz singer, stays active by performing since her husband passed away in September 2010. "When your spouse dies, there's a missing space in your heart," she said. "You still want to know that someone cares about you. Connection to other people becomes even more important at this point in your life," Dane said in the news release. A recent study found losing a loved one can hurt so much that a person is 21 times more likely to suffer a heart attack the day after a person dies, which risk steadily declining over the course of a month.